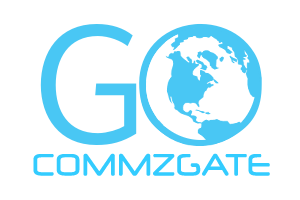 The Cloud SMS Portal is jam-packed with features that allows you to quickly perform tasks such as priority SMS sending, very large volume SMS broadcast, managing recipient lists, running large-volume SMS Campaigns, reviewing Campaign Reports and detailed message logs. There is nothing to be installed and an account can be created instantly. Take a look at our Quick Tour below. 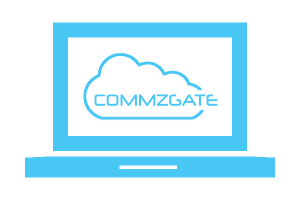 Log in to your Cloud SMS portal account from anywhere via the web. 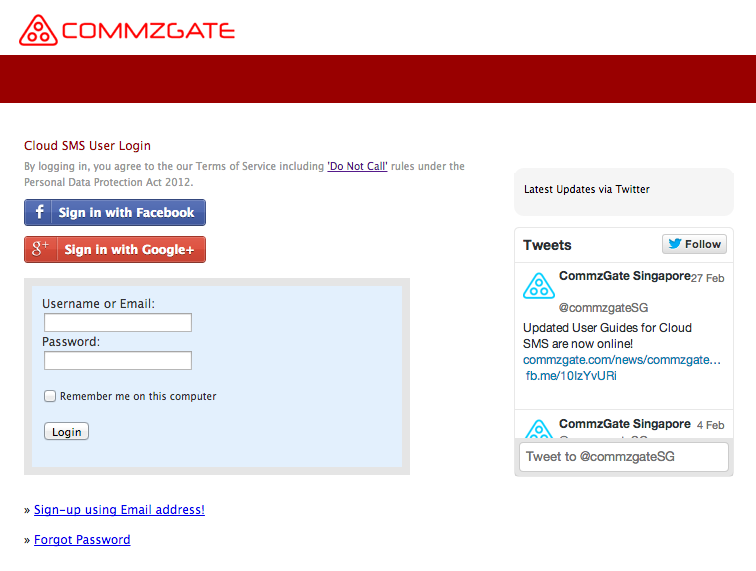 You can even log in with your Facebook or Google+ account. The dashboard shows you a summary of your recent activity and displays the real-time health status of our message queues to each of the 3 Singapore Mobile Operators. Shortcuts to most commonly used features are also found here. QuickSend utilises our special priority queue to ensure that your messages sent via this feature will always be prioritised to the head of our system, even when there are other broadcasts being processed by other users. You will find handy utilities such as personalised batch recipient upload, URL shortening, Number Masking and message templates. When you are planning to send a very large broadcasts (we support up to 3 million recipients! 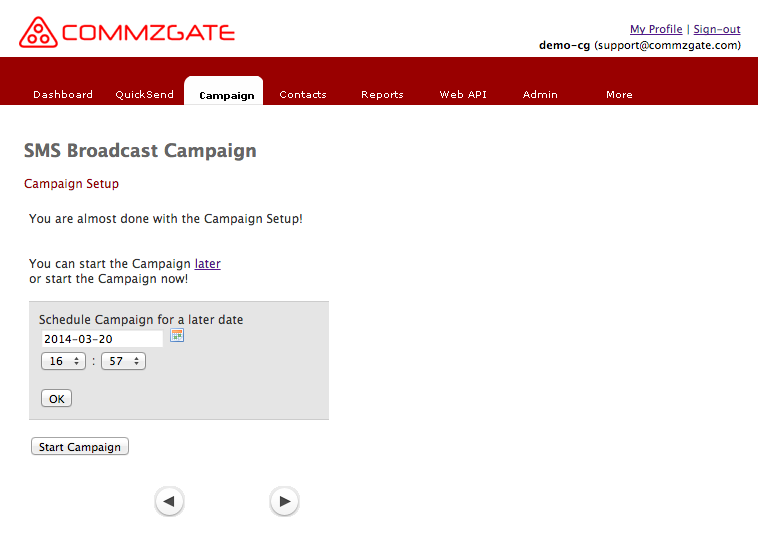 ), use the 'Campaign Broadcast' feature, which provides you a step-by-step wizard to configure the necessary information required for your broadcast. This is great for running in conjunction with a print or TV advertisement. Create a 'Receive Campaign' to receive SMS messages via our 73333 shortcode (or choose a private number dedicated to your account). Useful features here include auto-replies, 'Voting' mode, and 'Projection View' for live Q&A sessions. You can send broadcasts to go out immediately, or configure them to go out at a later date and time. No need to be back in the office just because you need to have a broadcast be sent over the weekend! You can compose a message of up to 800 roman characters and yet have it arrive on the recipient mobile device as 1 single long message. We also support all known languages in the Unicode specification, including Chinese. 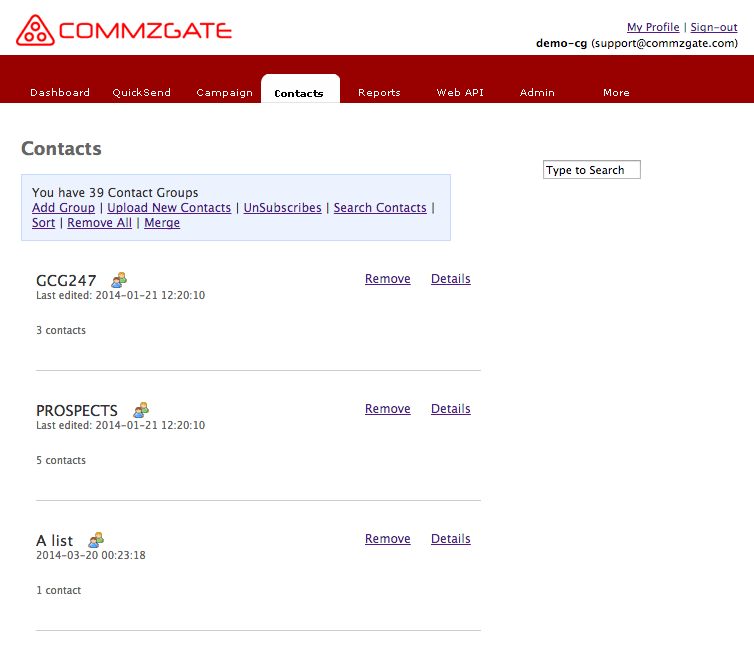 If you have used web apps like Gmail or Hotmail, then you will be familiar with the Contacts module on the Cloud SMS Portal. 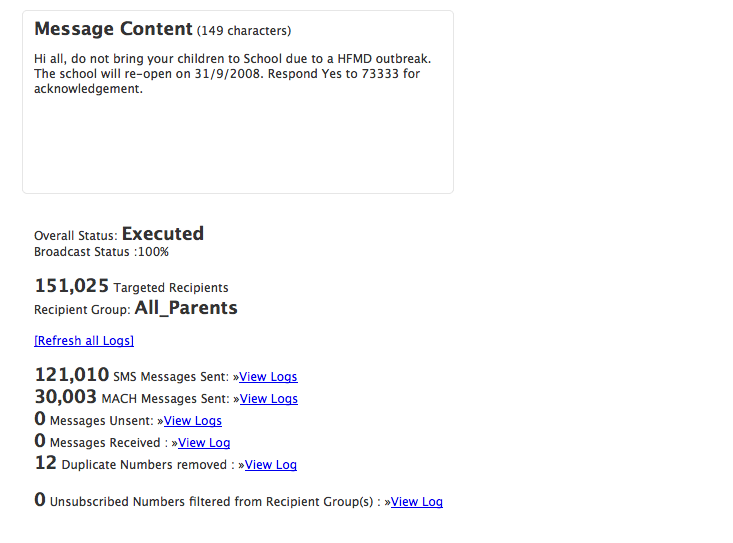 We have packed useful features here such as that for managing unsubscribes, duplicates removal, and merging of groups. Contacts data can be imported via CSV text format and all data is easily exportable. 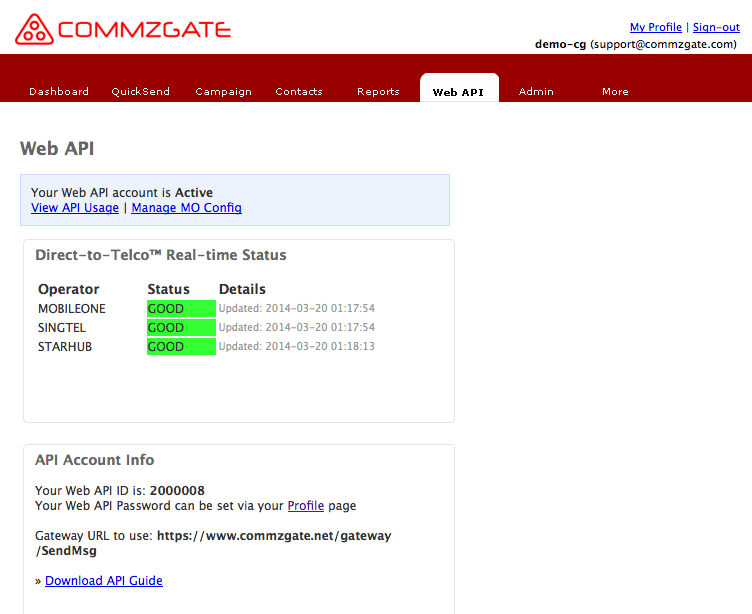 View detailed Reports on all the Campaigns that you had created before. 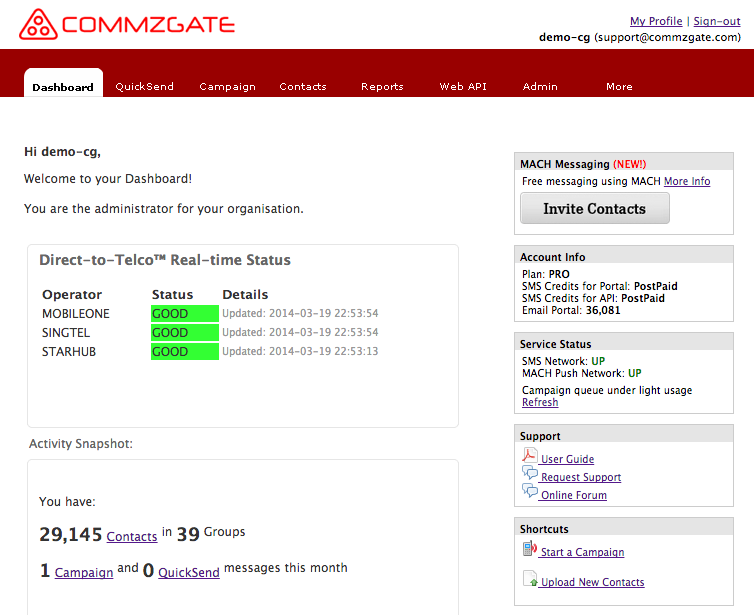 In each report is a graphical summary plus details of each message sent or received organized by status. 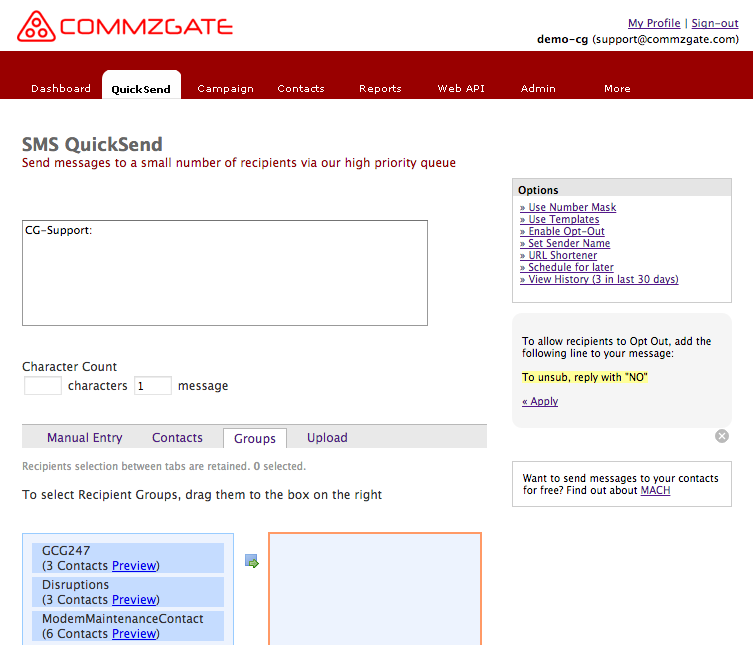 Track the real-time progress of a Campaign broadcast, plus the recipient group it was sent to. All data is easily exportable to CSV. 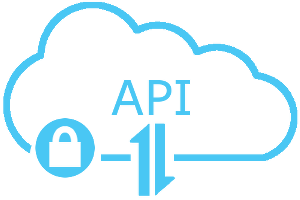 If you integrate your apps to our Cloud API, this is where you configure access to the API and also review message logs and configure keywords for receiving incoming SMS. When you are planning to send a very large broadcasts (we support up to 3 million recipients! ), use the 'Campaign Broadcast' feature, which provides you a step-by-step wizard to configure the necessary information required for your broadcast. 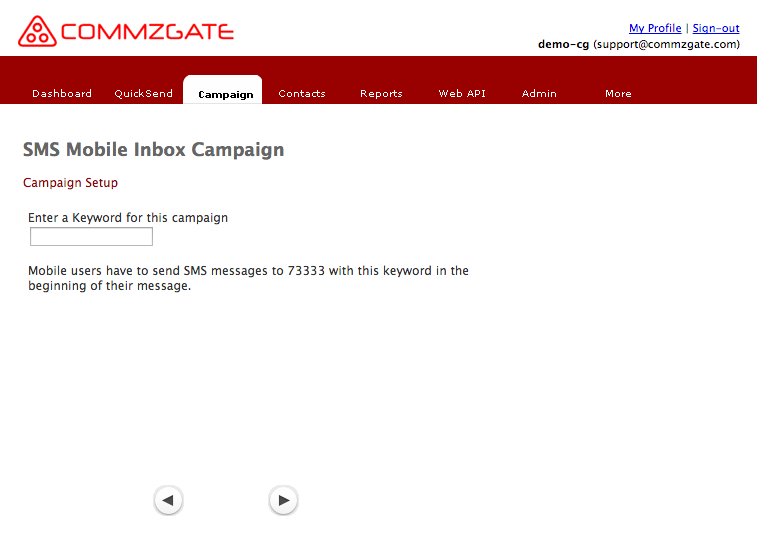 Create a 'Receive Campaign' to receive SMS messages via our 73333 shortcode. QuickSend utilises our special priority queue to ensure that your messages sent via this feature will always be prioritised to the head of our system, even when there are other broadcasts being processed by other users. Do you have the same message content that you repeatedly send (such as payment reminders or delivery status updates)? Save these messages as templates on our Portal and re-use them repeatedly. 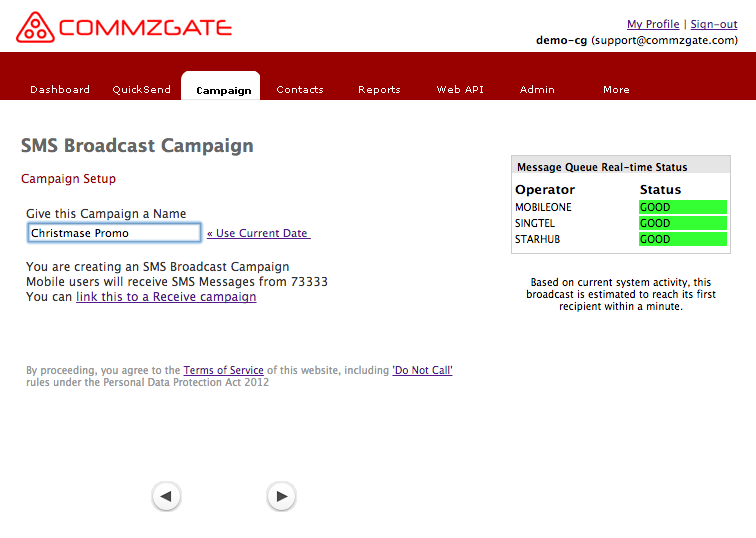 You can send a broadcast to a list of mobile numbers and have each recepient receive a personlised message. Personalised messages can use placeholders or be easily compiled using a speadsheet before being uploaded for broadcast. 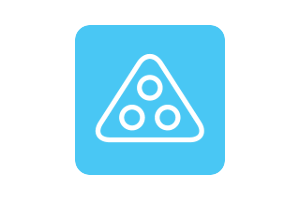 With SMS Number Masking, send and have SMS arrive with your own brand name (up to 11 characters) as the sender instead of a number. 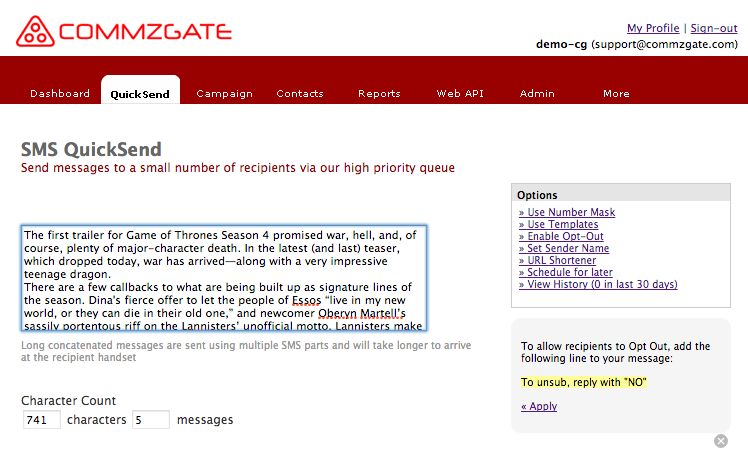 Set auto-reply messages for Receive campaigns. Messages can be sent as an SMS or email. Have SMS votes be sent to a 5-digit shortcode number and have incoming vote data compiled automatically. All data exportable as a CSV file. Use SMS as a live Q&A tool duing conferences and have the live questions projected onto a big screen for all participants to see. Incoming questions can be moderated before being displayed. Automatically convert full URLs in to short URLs, like bit.ly, to reduce your character count. Allowing smartphone users to access your rich media with a click of the link. Store and organize your Contacts into groups with useful features here such as managing unsubscribes, duplicates removal, and merging of groups. Contacts data can be imported via CSV text format and all data is easily exportable. Our Portal allows you to upload very large lists of mobile number data while automatically sanitising your data by removing invalid mobile numbers and removing duplicates. With an administrator-level account, you can create multiple sub-accounts for your colleagues. You will also be able to review the message usage of the sub-accounts under your care and generate monthly reports categorised by user account and feature used. 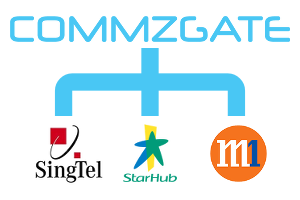 Before you send a large broadcast, our Web Portal shows you a real-time status of the health of our links to each of the 3 Telcos. If there is congestion (which rarely happens), you will know this on real-time basis.